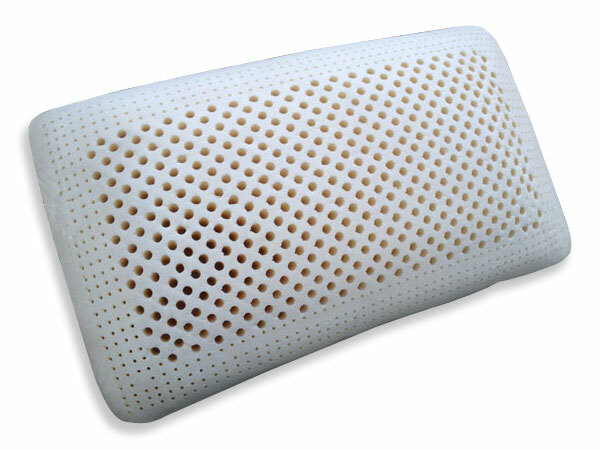 Enjoy superior neck and back support all night with our 100% organic latex pillow. Derived from 100% botanical white organic latex from the heart of Sri Lanka. . Optional zipper off organic cotton cover. Enjoy superior neck and back support all night with our 100% organic latex pillow. Derived from 100% botanical white organic latex from the heart of Sri Lanka. This is a static pillow. For our customizable shredded version, click here.